There were 3 posts published on December 4, 2018 (this is page 1 of 1). 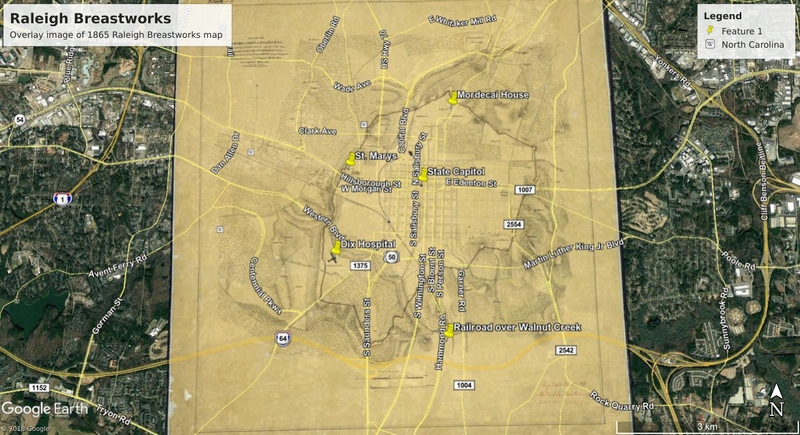 Hours of toiling with Google Earth (GE) has allowed me to get a good feel for how the 1865 map of Raleigh’s breastworks matches up to local landmarks. I created an image overlay in GE, then marked with a pushpin landmarks that are still around today. A bit (okay, hours) of stretching and rotating the overlay image got me a close match of where things were as compared to today. 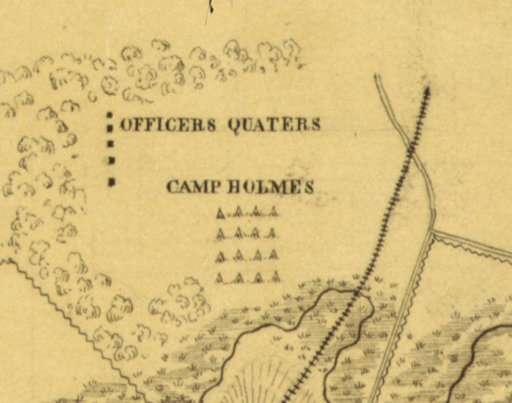 After messing with Google Earth for hours tonight I finally got a rough idea of the location of one of Raleigh’s Civil War “camps of instruction,” Camp Holmes. It seems to have been west of the modern-day intersection of Capital Boulevard and Wake Forest Road, where the Raleigh Bonded warehouses and Norfolk Southern’s Raleigh Yard are today. 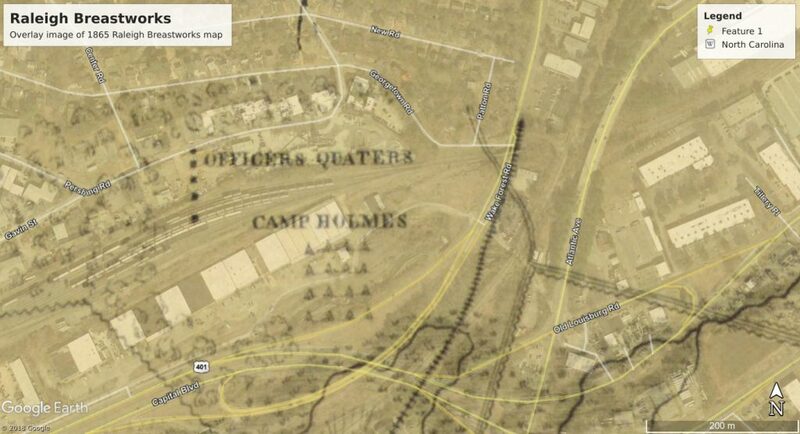 Being that most of the camp is now a railyard, poking around there is not feasible. Still, there might be interesting finds on the periphery, perhaps the treeline south of Georgetown Road. Who knew that those dingy warehouses and railyard was once the site where 9,000 Confederate conscripts trained to become soldiers?